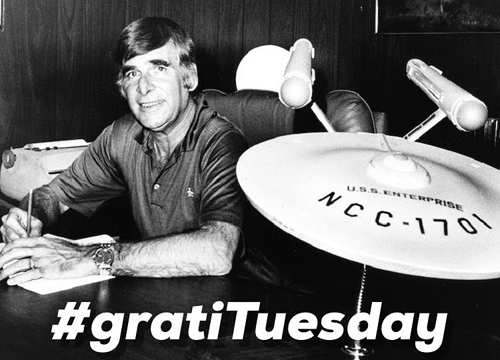 Hey friends, I'm back talking about #gratiTuesday. I'm still trying to make this a thing that catches on, because I really believe that we should all take a moment or two to thank those around us that have had such a meaningful impact on our lives. A few months ago, I wrote a piece titled "What is #gratiTuesday?" Since then, I have taken to Facebook and Instagram to post pictures of people (and a tree) for whom I am truly grateful for. And the feedback both online and in person has been very positive and reaffirming. People seem to like the idea of doling out some high fives all around. As social media constantly changes its algorithms, these pics may not be showcased for long. 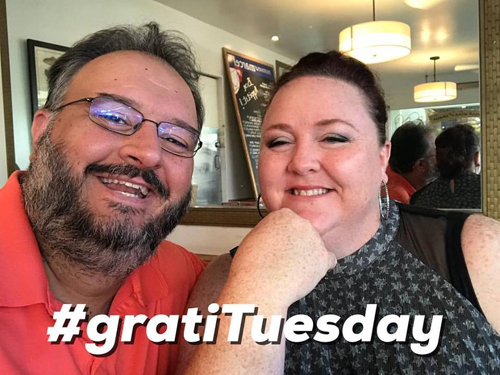 I wanted to have a more permanent show of appreciation, so I'm going to present all my #gratiTuesday posts from 2017 here in this blog post. Not only to remind these people how awesome they are, but to hopefully encourage you to start hashtagging #gratiTuesday to people that matter to you (or at the very least, shoot a text to someone to say, "Hey, you're cool."). 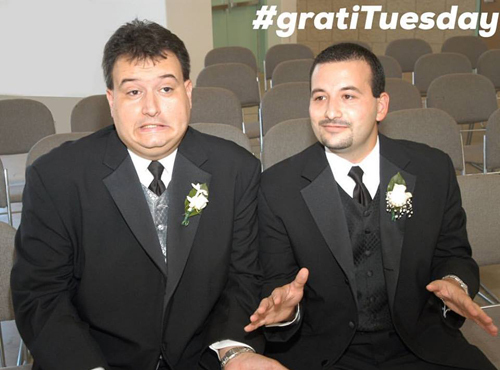 For my first formal #gratiTuesday, I want to send some appreciation to my best friend Dave. He is truly my brother and I'm thankful for the adventures we have. Here's to many more. On today's #gratiTuesday I give you the Diva. I am so thankful to have been graced by her existence, even if she is Chaos Personified. My love for Zoe knows no bounds. Today's #gratiTuesday is my cousin Jim. Best Man at my wedding, godfather to the Diva. He is a true friend and lifesaver. I am so thankful he's in my life. On her birthday, the obvious choice for #gratiTuesday is my lovely lady. Legitimately, she is the greatest thing to have ever happened to me. 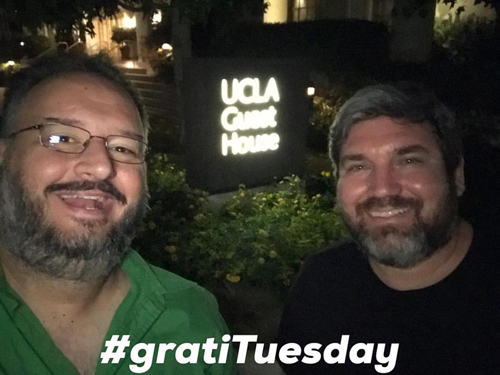 #gratiTuesday is more than just being thankful for the people in your life, but also for places and things that have an impact. 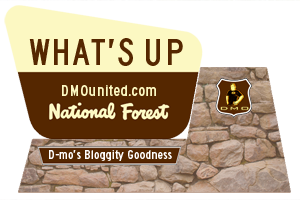 Today, I must proclaim my appreciation for our National Parks. 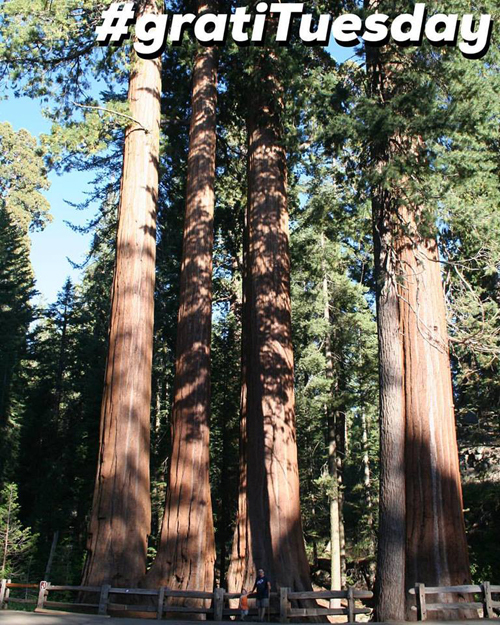 They are majestic places of wonder and beauty. I'm so thankful that we have deemed these gems worthy of saving and for the opportunities to take my family to these awesome locales. Today's #gratiTuesday is an easy pick. 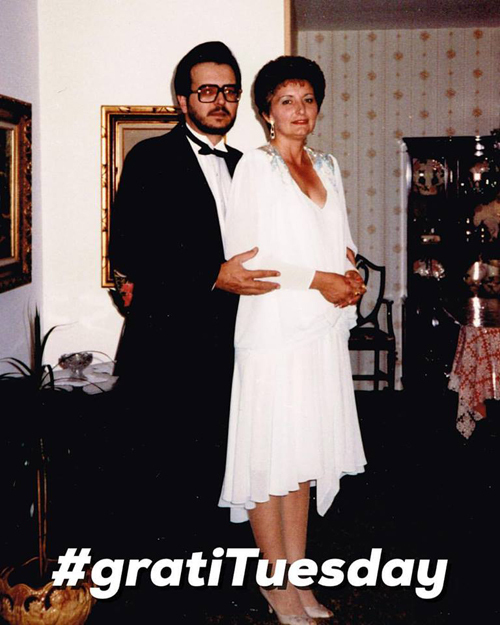 Today (yes, Halloween) is my parents' wedding anniversary. If it wasn't for that, I wouldn't be here, so thanks for getting hitched. But seriously, I'm so thankful to have these two wonderful people as my parents for so many reasons. Today's #gratiTuesday is different, as I thank someone I never actually met, but who had a very influential impact on my life. Gene Roddenberry was the creator of Star Trek, a gloriously 1960's imagined version of the future. He dared to show us a future we can achieve, where all of humanity is united, forging ahead with earnest curiosity, honest diplomacy, and sound science. With a pioneering show about galactic pioneers, he also taught us that it's ok to be a nerd. Maybe even cool. Thanks Gene. For the #gratiTuesday on this Thanksgiving week, I must humbly say thank you to the people all over the world who have downloaded our little podcast. 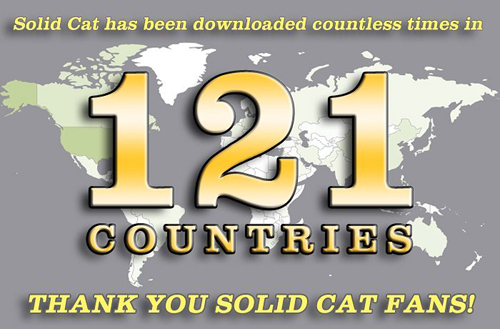 Who would have thought that people in 121 countries would listen to me and Val on a show we call Solid Cat. 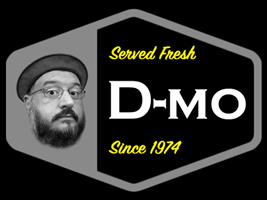 We may not be the best podcast in the world, but you're the best fans in the world. Thank you! I can't stress enough that, with all the negativity floating around out there, a little positivity is definitely a welcome respite. Am I being a sentimental sap? Perhaps, but I don't care. I can't be all jokes and sass; some days require a softer touch. In all seriousness, I really hope this gives you that gentle nudge to take that moment to show a little love, to make that connection with someone, and to live with a small dose of happiness in your heart about what's good in your life. I'm not saying life is all rainbows and puppy dogs, but if you focus on the good, it'll help you when you've got to tackle the bad.